The Berkey Light? 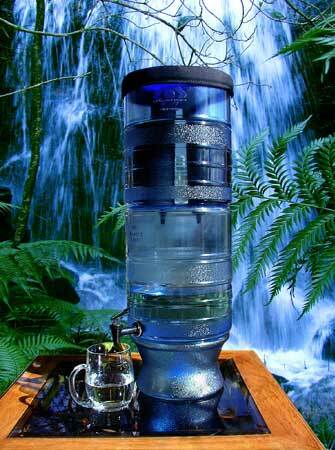 Water Filter is a gravity feed unit that comes complete with two purification elements and a base. Black Berkey? Purification Elements are more powerful than any other gravity filter element currently available. Virtually no other filtration element can duplicate this performance. This water purification unit has an optional light in the base (must be purchased separately) so it lights up at night when you go to get a drink of water. The problem of having drinking water is not one of just finding it. Water is all around us in the form of lakes, rivers, ponds, ditches, swimming pools, stock tanks, mud puddles, old tires, rain collection and many other sources. The problem comes from the fact that most of this water, if consumed would make you sick, the last thing you need in a emergency situation is to become sick, further dehydrating you. What if you had a way of purifying these contaminated sources of water. This is where the Berkey purifier comes in. 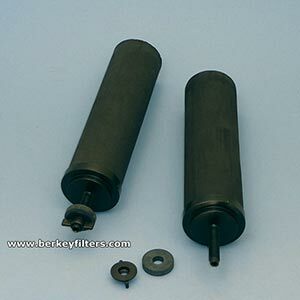 Berkey designed these filter systems to be able to take water from these questionable sources and drink it. Our filter system uses time tested technology and puts it in a portable form perfect for emergencies. Eliminate the need to store and transport hundreds of pounds of water. Our systems weigh less than 7 lbs. and can be taken with you anywhere. Click on the photo below to learn more about the Berkey Light Water filter Unit.